I've been lucky enough to work with Mink & Stone this week. They offer a design your own service for jewellery online. There's loads of pre-designed jewellery to pick from or to help inspire you when you create your own. 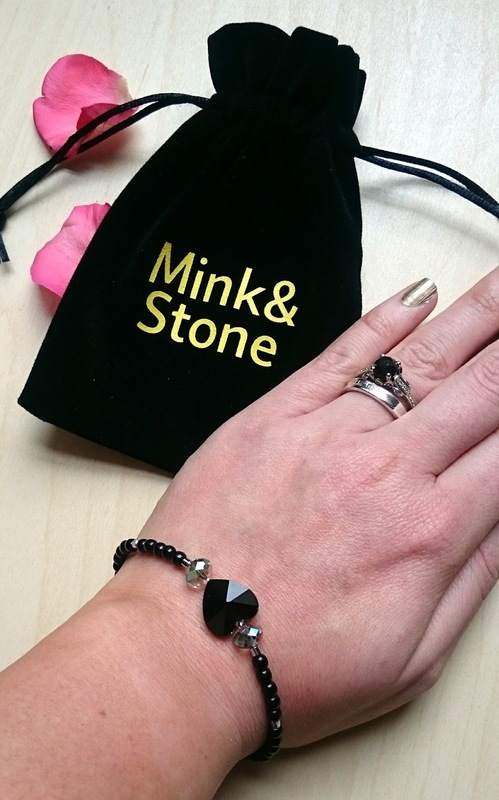 I love the idea of creating my own jewellery and thankfully Mink & Stone take all the hard work out of it. You simply design what you like and they make it for you! You can choose from loads of different beads from plain ones to more detailed accent beads. There's something for every budget and with a choice of clasp colour and chain length, there's no end to the amount of jewellery you can make! The online designer is really simple to use. You simply select the bead you wish to use and click on the arrow to what side you'd like it placed. The beads the show up in your 'tray' at the bottom of the screen so you don't have to keep searching for the ones you've used. You can also delete beads and move them around and it tots up the total cost at the top so you always know how much you've spent. 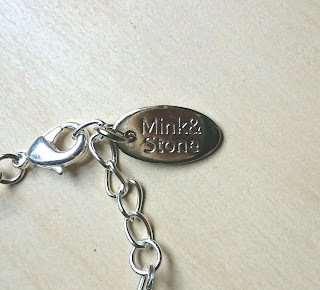 The finished item comes in a lovely little bag printed with Mink & Stone on the front and the jewellery also comes with a stamped tag, which I think really helps give your jewellery that designer high end feel! I really enjoyed designed my bracelet with Mink & Stone and love my final piece. 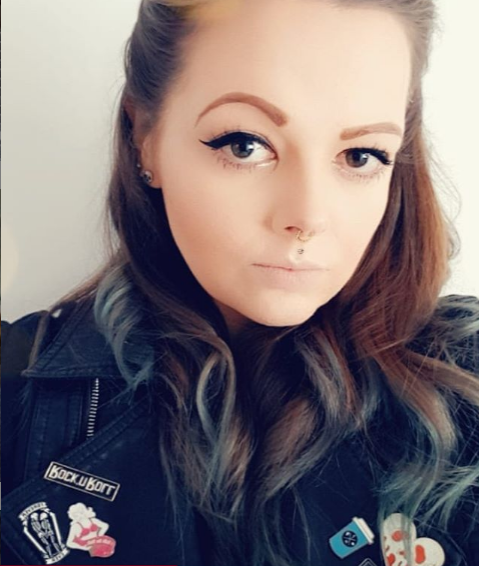 I've worn it everyday since it arrived and I've had a fair few people ask where it was from. I love the fact you can get high end looking jewellery that is totally personalised. It's a fab idea! Why not check out the website and try the designer for yourself, I promise it's a bit addictive! *This item was kindly gifted to me by Mink & Stone. As always the review is 100%. Love the design you chose. 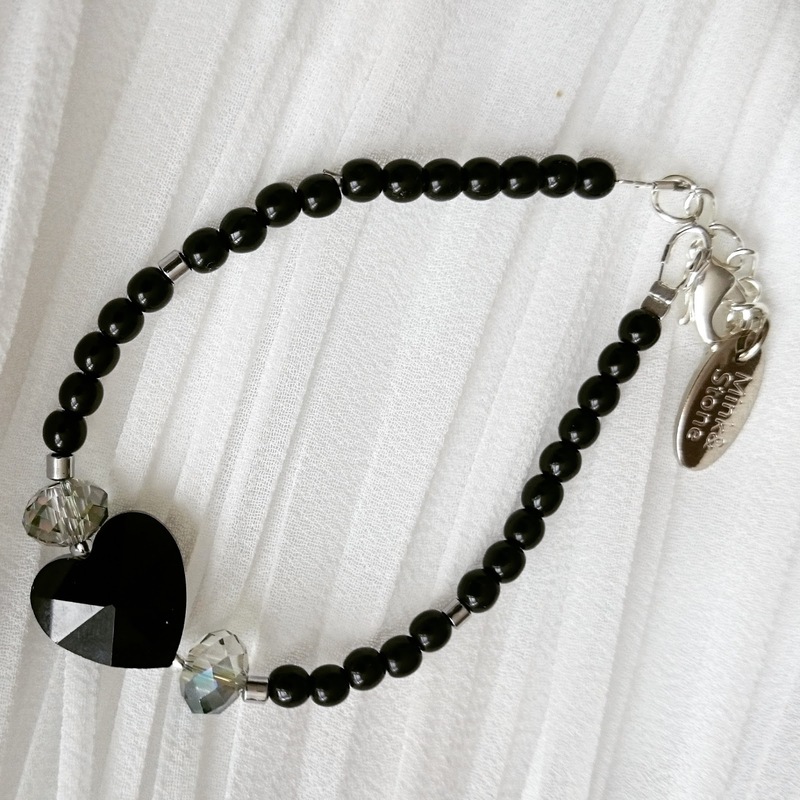 I chose the black heart for my bracelet too.